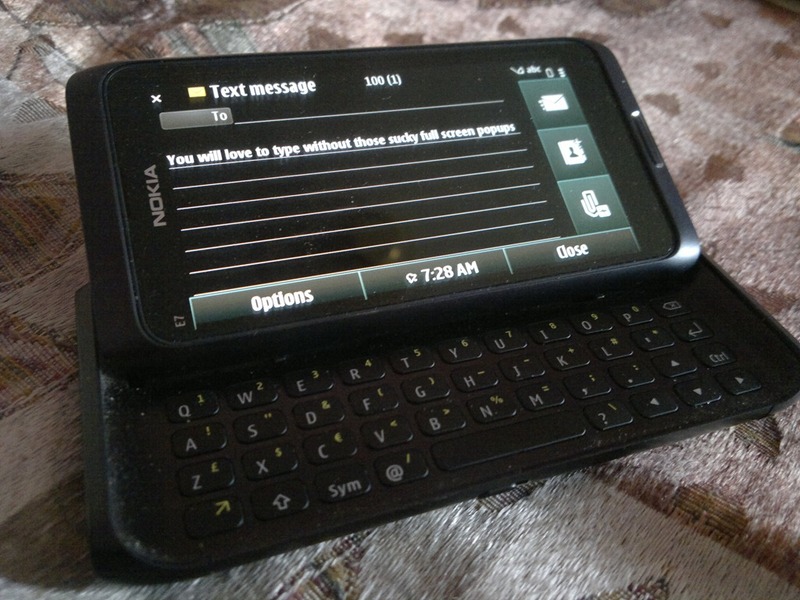 Its been quite a while now, since I had Nokia E7-00 in my hands (Thanks to awesome people at Womworld/Nokia) and I was intentionally delaying the post till now as wished to start the review only after getting used to it in real life terms. So, after around 2 weeks, this is the right time. 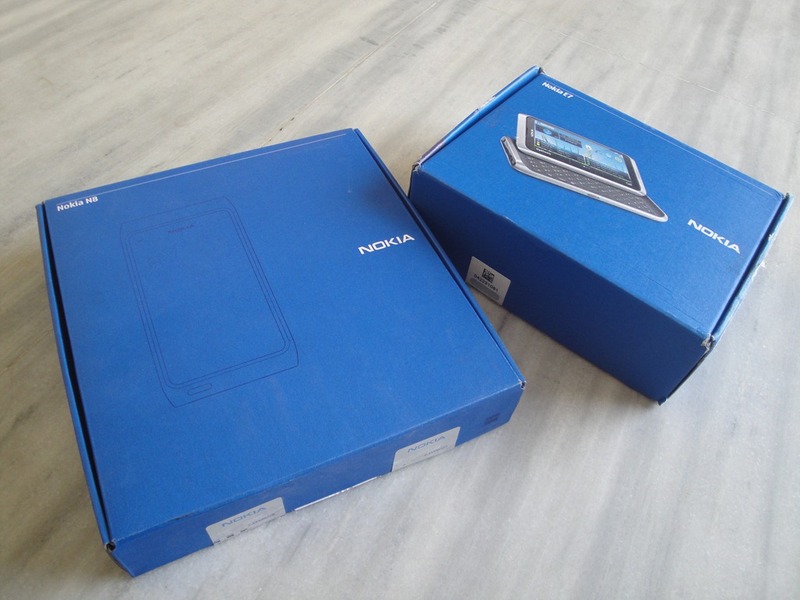 The another blue box and by putting Nokia N8’s box (on the left in picture) in side, I am already clarifying that the whole review will keep the Nokia N8 experience in mind. A perspective that most of you wished to listen. 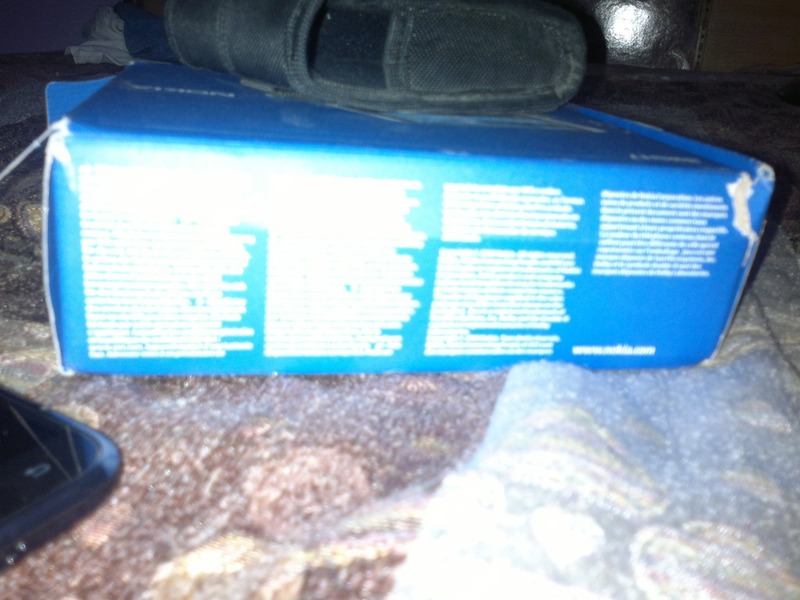 While this time, the box is smaller on horizontal scale than already small Nokia N8 box, it’s a bit thicker. Also in place of dark and elegant engraving like Nokia N8\ Nokia N900, Nokia chosen the colorful ways to show off the feature that makes the difference, the HW QWERTY. 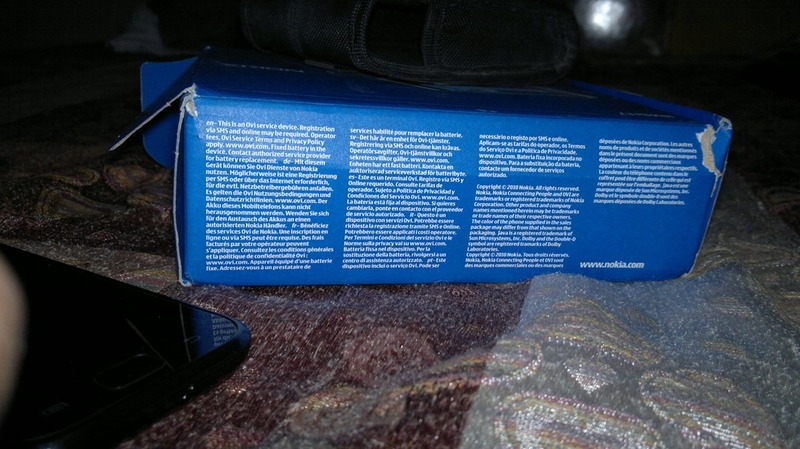 The back side of the box displays the leading services from Nokia side with their glimpses on the 4" AMOLED screen. 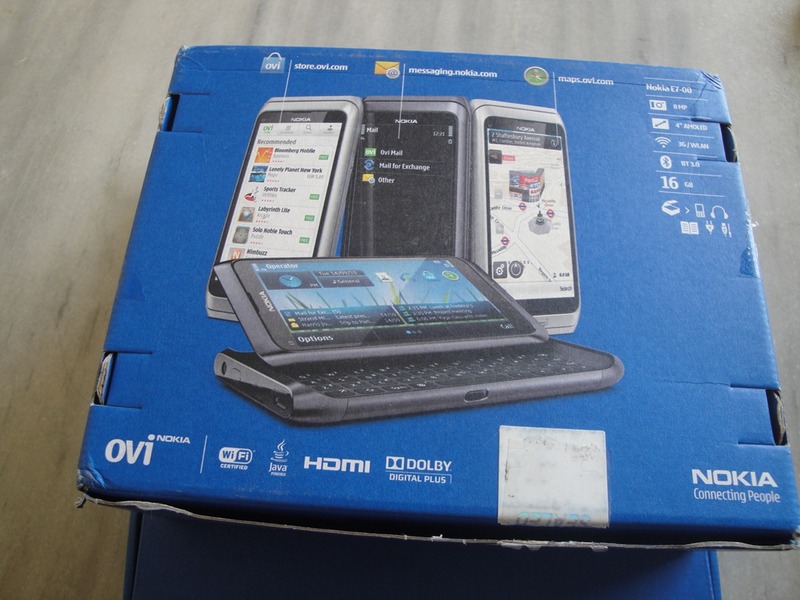 Also as one can expect, Nokia E7-00 possesses all of the Nokia N8-00 goodies (except camera) like HDMI, Dolby, Bluetooth 3.0 etc. 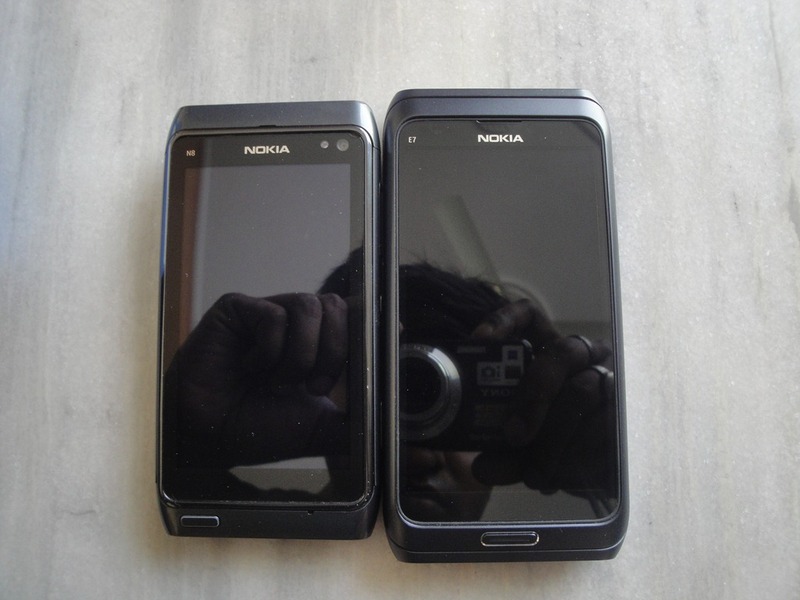 The first display of Nokia E7-00 after opening the box and you can easily spot the size difference from Nokia N8-00 though apart from some minor differences, it can easily deceive one for an N8. If still in some doubt about the sizes, then the above pics will clear that even if after taking in hands, it doesn’t feel like a monster, it is sufficiently bigger than our Nokia N8-00. 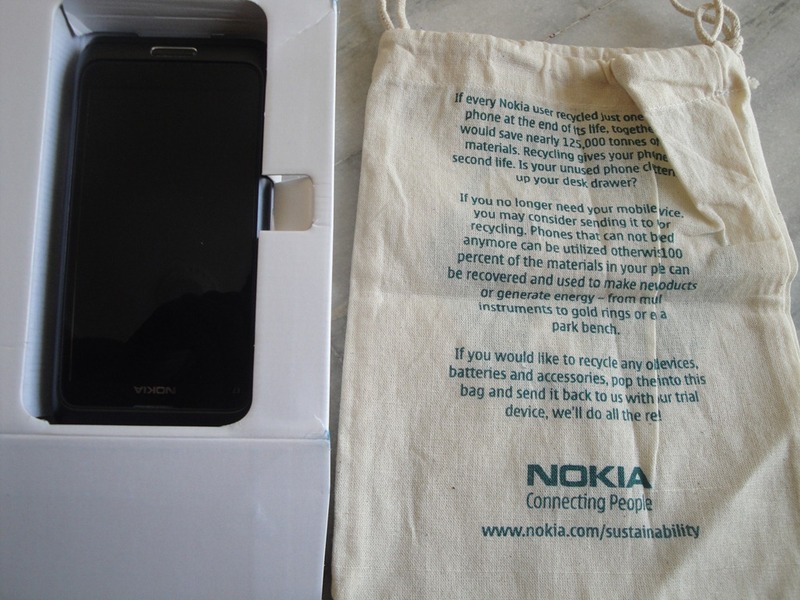 Not sure, if it’s part of retail package for all the regions, it was nice to see a eco-friendly carry bag inside the box with a long message related to recycling of Nokia products. Such small steps from large organizations really helps. 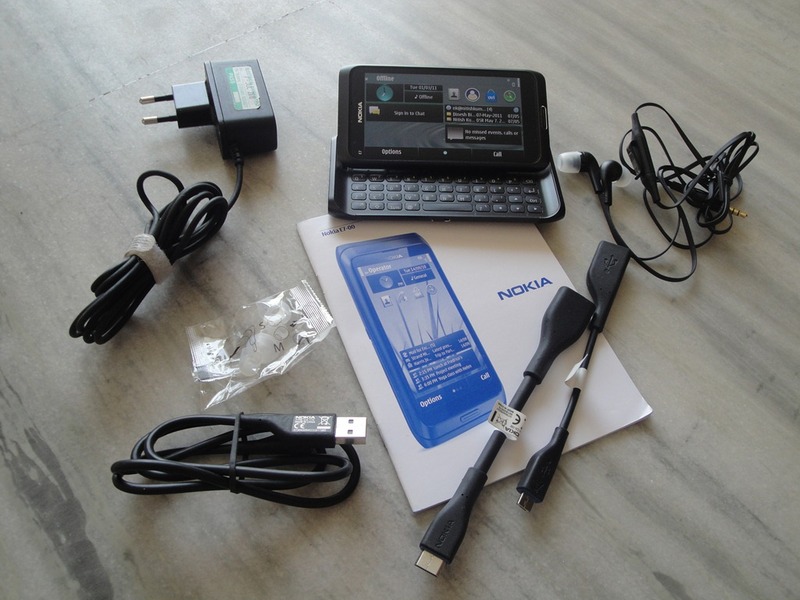 The Nokia E7-00 package contrary to early reports actually comes with USB OTG and HDMI adapters like Nokia N8 neither it is shy about the length of USB Data cable. 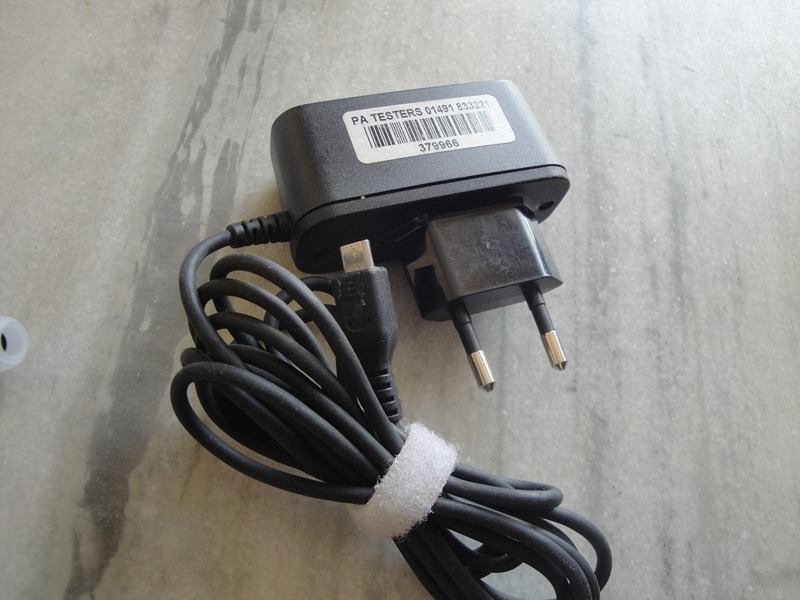 Obviously as Nokia E7-00 doesn’t support 2mm charging (only one port for data and charging) but this is perfectly at par with Nokia N8’s charger on specs, like same 5 star rated for energy saving and fast charger for quick charging. 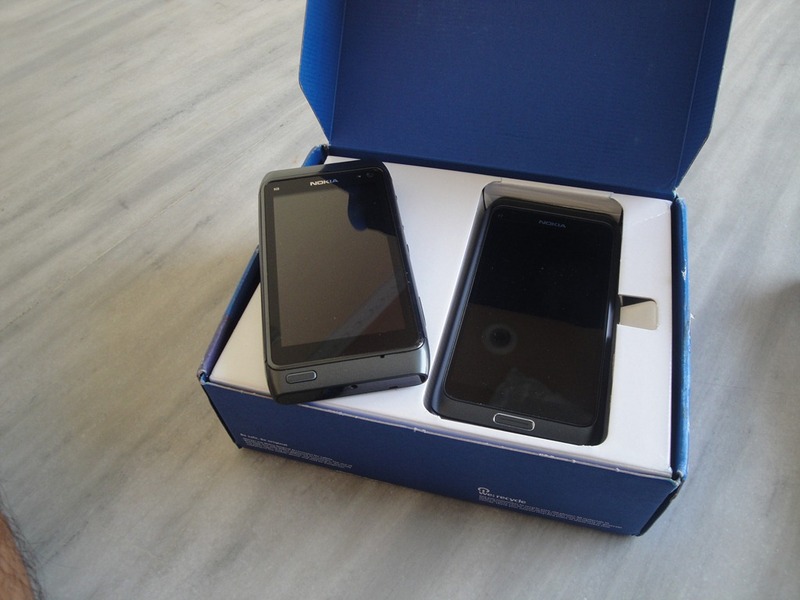 Though it’s not as compact as Nokia N8 one, but do any one really care? 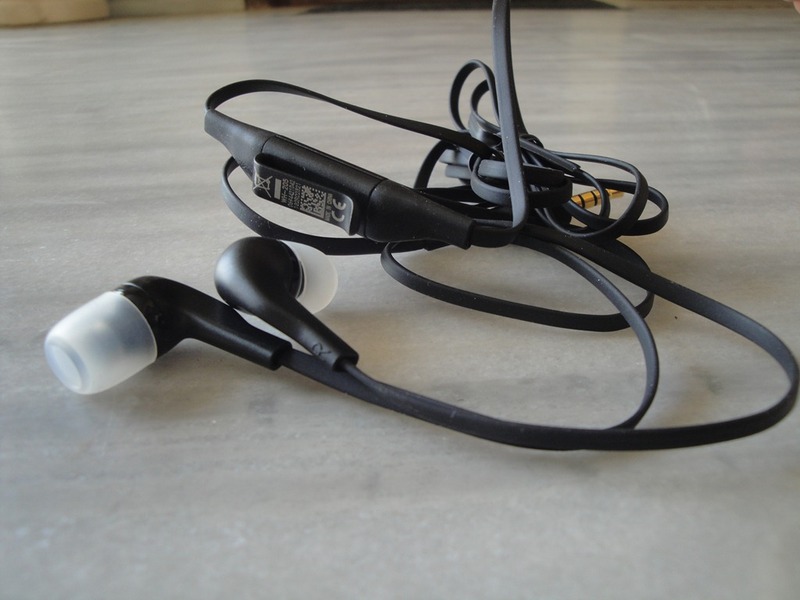 It seems to be the only compromise made with the set of accessories as Nokia WH-205 are the set of headphones that were once shipped with Nokia 5530 XpressMusic. But knowing the quality sound on XpressMusic series, I am not sure no one will find any single place to complaint on sound of it though forward\reverse keys will be missed for sure. But considering the real solid aluminum build of Nokia E7, then a solid full fledge QWERTY built in, one can easily justify the extra weight and believe me considering the other QWERTY in market like HTC Desire Z or Nokia N900, this was still on the lighter side (176g in comparison to 180-181g). Being the uni-build with no detachable battery also makes it one of the toughest handsets around. 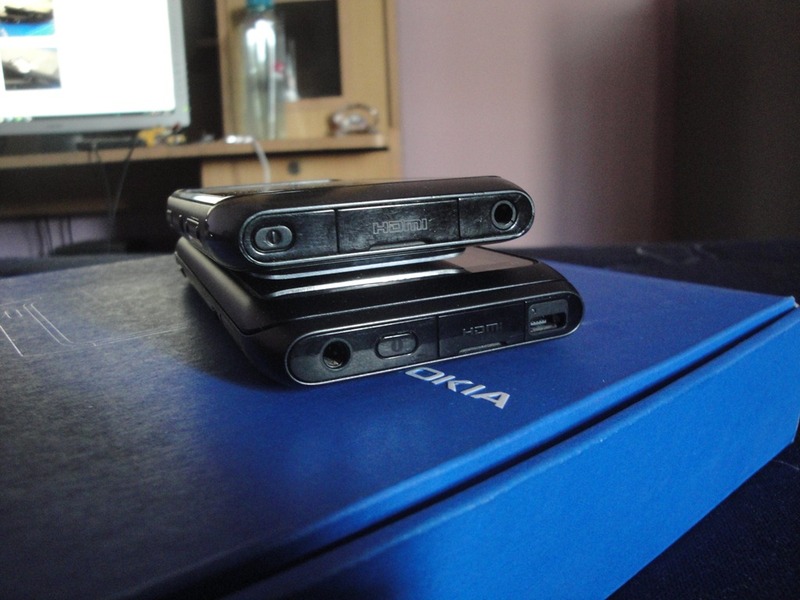 It’s very easy to perceive Nokia E7 as a Nokia N8 from some distance (perhaps it was intentionally made like so) though there are easy pointer to find out the differences apart of the camera. 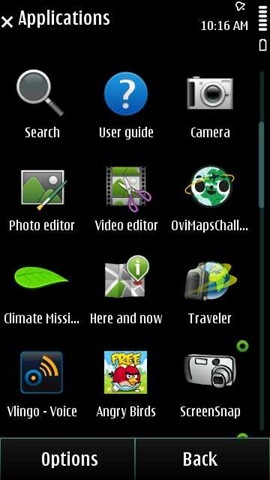 Like as the first pointer, the below picture shows that how the location of Menu key has changed to be in middle than left position on Nokia N8 and also the bigger menu bar has a fine line over the button that glows with backlit. There been a few criticizing comments about the Menu key position on Nokia N8 and may be the new position was an answer to those complaints. While it would be a better move for the people with shorter fingers, may be the one with a little longer finger will find this not that convenient than they were on Nokia N8, but keep the menu key is center really helps with open slider position. Secondly, though you won’t miss the visible, but very finely fit cracks for slider, you should also spot the bigger speakers on the top. Cover almost whole of Nokia logo this time than Nokia N8 where the size was hardly two of the characters, though not sure that it makes any difference with in-call sound being Nokia N8 already one of the loudest. 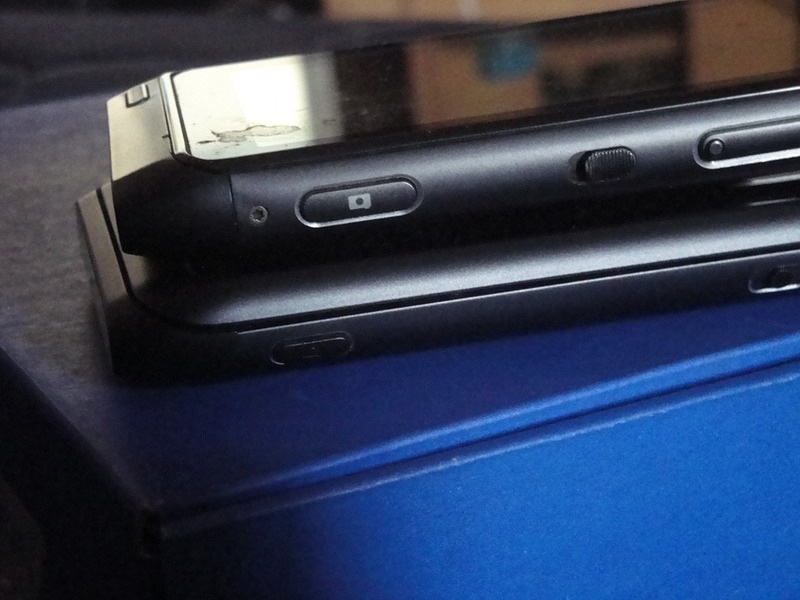 Also the changes include a bigger microphone on the bottom side, while in Nokia N8, it was only a small hook. 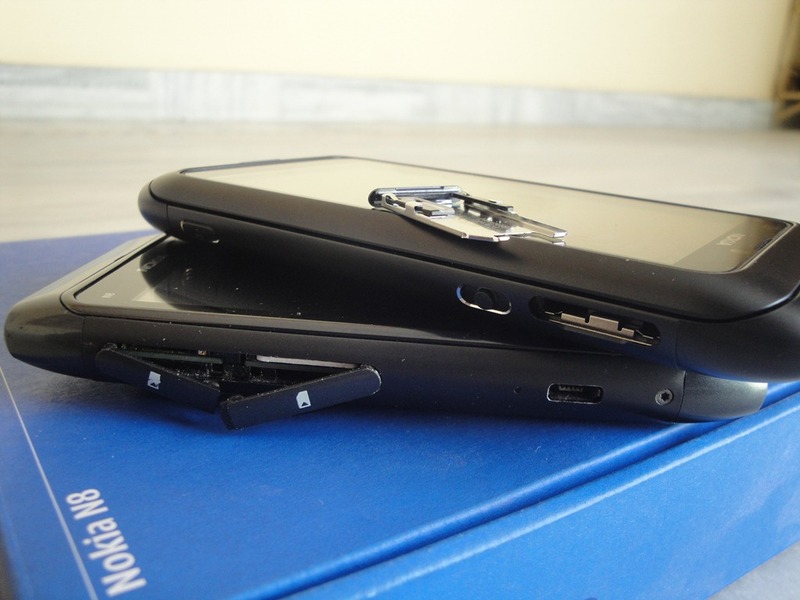 One of the other bigger difference about Nokia E7 from Nokia N8 is the way, it handles the SIM slot. Kind of mixed bag for me like people, as this time only HDMI slot is with plastic cap, so the whole build might be considered as super solid without any detachable components. And yes! if you didn’t noticed yet then let me tell you, Nokia E7-00 comes with 16gb internal memory but no memory card slot. For some it might be a deal breaker, but for me, in presence of USB OTG feature, it doesn’t hurt. Not talking about the mega pixels here, but the camera key itself is a little shorter than Nokia N8 one and also the functioning has some difference. First of all, there is no half press coz it wasn’t needed for a EDoF camera and for same reason, opening camera for the first time takes 1-2 seconds more than Nokia N8 after pressing the full button. Still the button looks premium without any white paint on it but just engraving of camera icon. The another difference is the volume key. 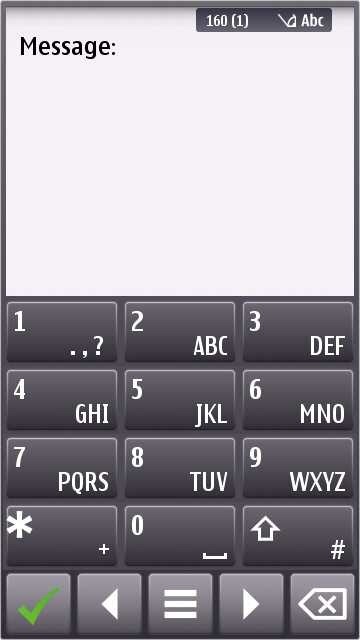 I bet long time Nokia Users can’t spot the volume key that easily in the picture given below.. 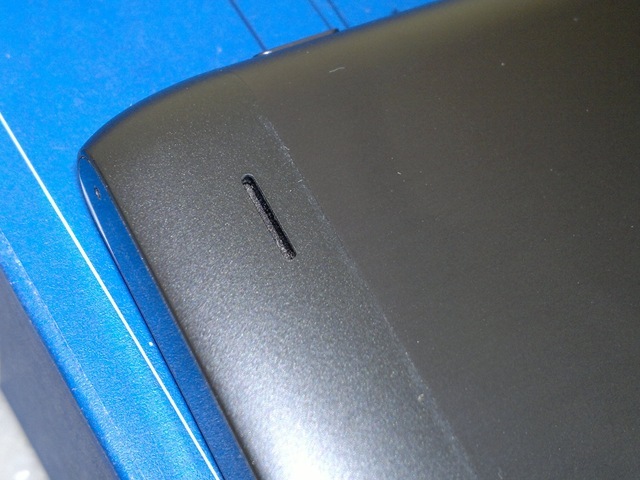 The small lock key like key after the SIM slot on Nokia E7-00 is actually the volume key. No +- signs like Nokia N8 and usual Nokia devices and the button itself is almost 4 times shorter. I really don’t remember if any of the trial device to me has such shorter volume button. A design decision to utilize the space as cleanly as possible. Don’t mind as long as it works flawlessly. If you are missing the lock button here, then in place of right side, it does exist on the left side, where you can find it the only button. Almost same size as been in Nokia N8 and they also corrected the little annoyance, what was missing in Nokia N8, the shiny metal border around it like around Volume button or Camera button of Nokia N8. Make you feel more premium now. The top contains all the rest elements to keep the button clean. A shorter HDMI port, the open mini USB port (I would have liked a slider port like Galaxy S, but its fine considering Nokia N8/N82), the power key and the 3.5mm audio\ TV out jack. The bottom is clean and contains only a microphone while I wished that it was better if they would have included a 2mm charging port as well for sake of legacy support. Easy to find a 2mm charger rather than USB one. Another minor difference is in place of ambient and proximity sensors that have moved to left side while Secondary camera is still on the right as usual. 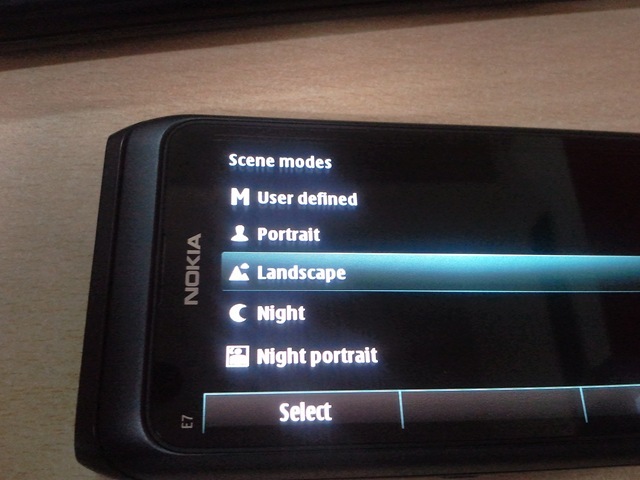 Also the secondary camera is slightly in middle than extreme right position as on Nokia N8. So, there were the places where one could find minor differences from the Nokia N8 design and now comes the part where one can’t miss to notice Nokia E7, the QWERTY itself. Even if I was an admirer of horizontal slider like Nokia N900 or HTC Desire Z, it was an easy ride to get addicted to the tilted screen. There was no D-Pad, but the keys were superbly spaced and not only backlit keys they are (like usual), a long hold also provides you the second key as shown in yellow print on keyboard though shift key is always there to perform the same function without any wait. Space key is in center like many would have wished for. Any key I might have felt missing here then it would be Tab key, but don’t think tab kind of key exists in any of the mobile keypads. 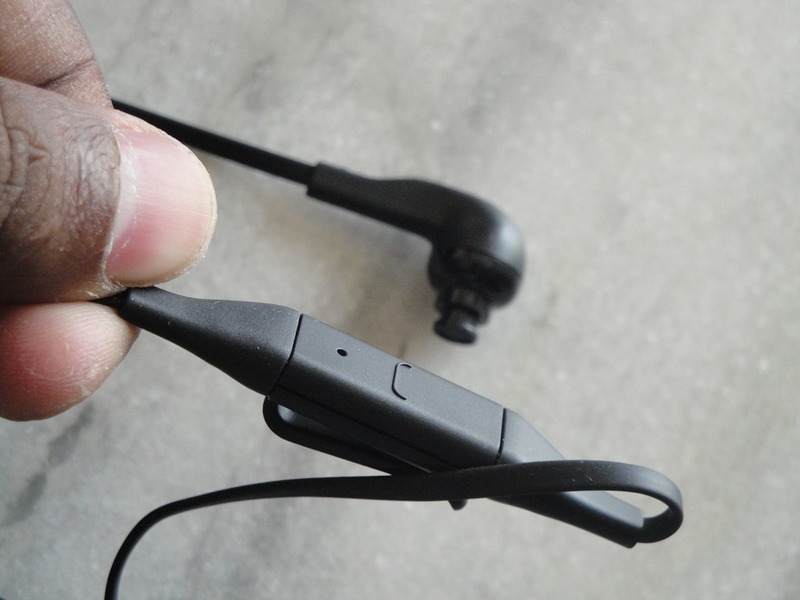 The noise cancellation microphones and loud speakers have taken their places on edges. 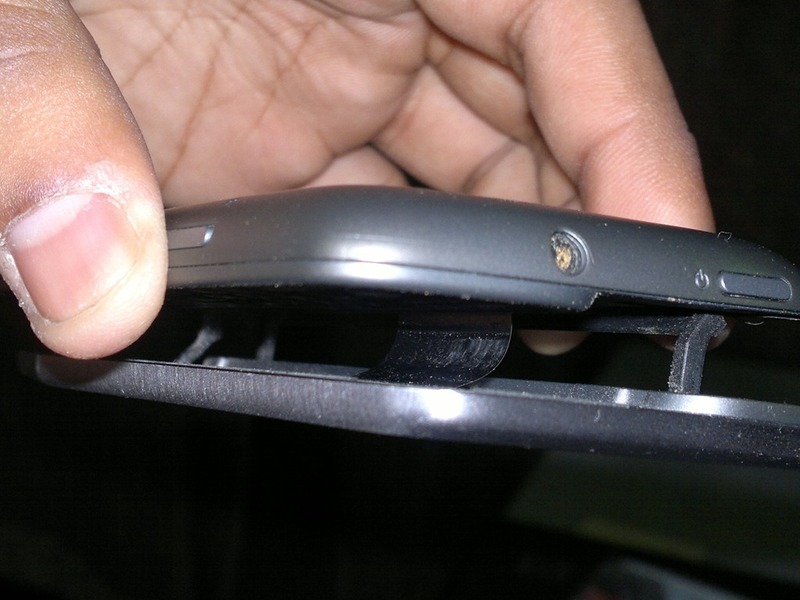 Again, it leads to the same issue as may faced with Nokia N8 that the loudspeaker sound will be muffled when the device is kept on surface like bed or blanket or even pocket. 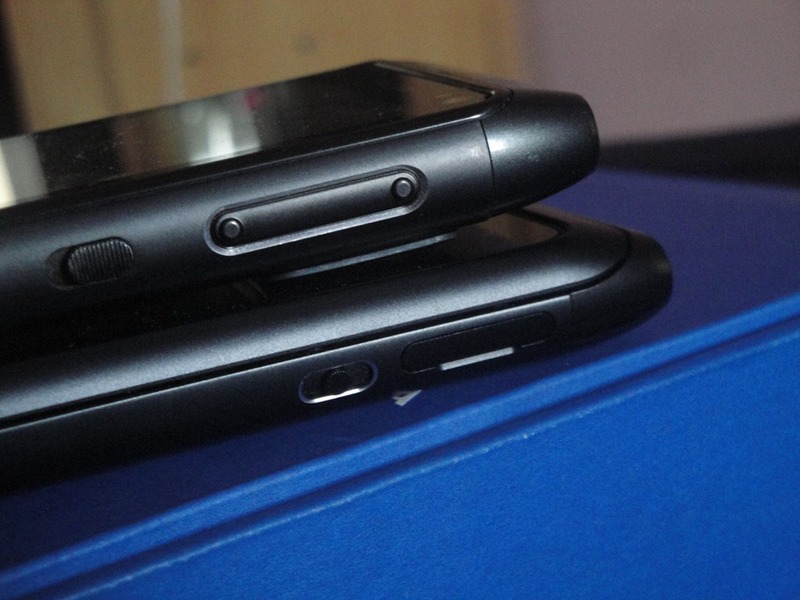 A side position or bottom position would have done a lot better on both the devices. 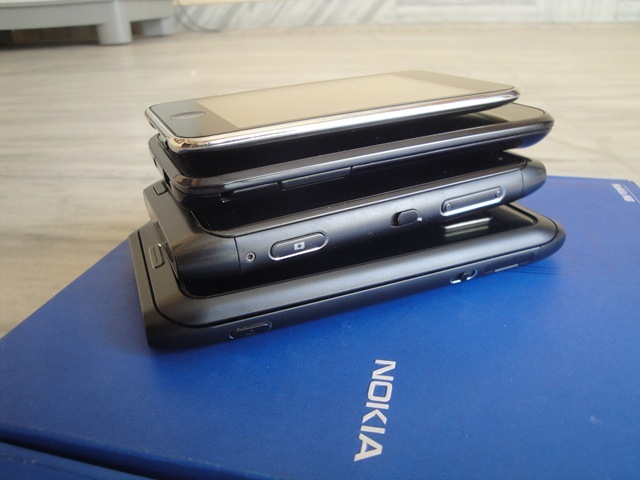 There are still a few things more that many wont like on Nokia E7-00. We have a 8MP camera with Dual LED flashes, which might spark another debate on EDoF vs AF here but still stands as one of the imaging master piece in market. On the sad part, exactly like Nokia N8 case, Nokia again went for a compromise to leave the camera unprotected on the back. The compromises always hunted me on my precious Nokia N8 cam and even though Nokia E7 camera is not that top notch but its definitely not like those 2-3MP cameras that one can afford to leave unprotected, specially when there is no bulge on the back and when you will leave the E7 on hard surfaces like table or floor, then over the time, its bound to get some scratches (even if its a tough Gorilla glass). As my twitter friends are already aware of, luckily this time, I was in possession of some of the great devices of market and so thought that it would be a crime, if I don’t share a comparison pics here. 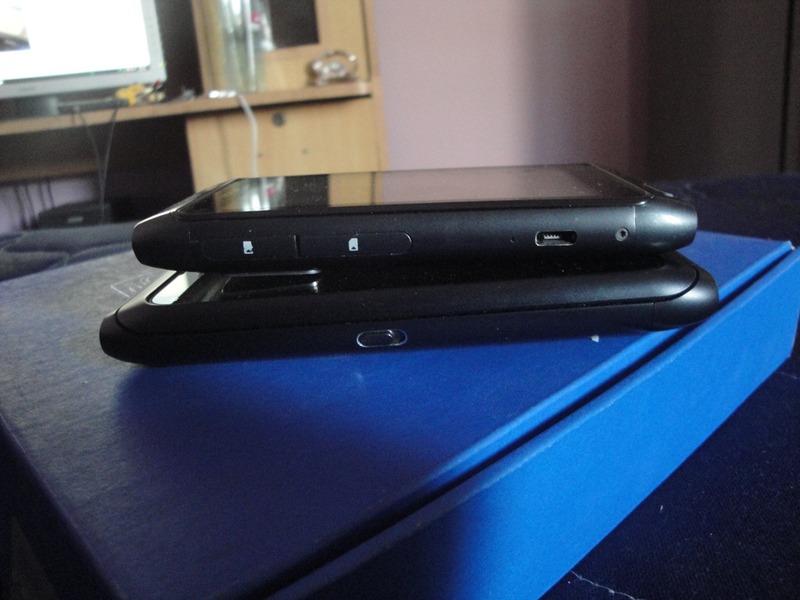 From the above pics, you can easily get an idea that how big each of the device is (not the best shot though). As many of you already asked me, I will sure come up with a short part to cover the sunlight visibility and display comparison, but for a preview, you can see the above snap showing off SAMOLED vs CBD vs AMOLED screens. 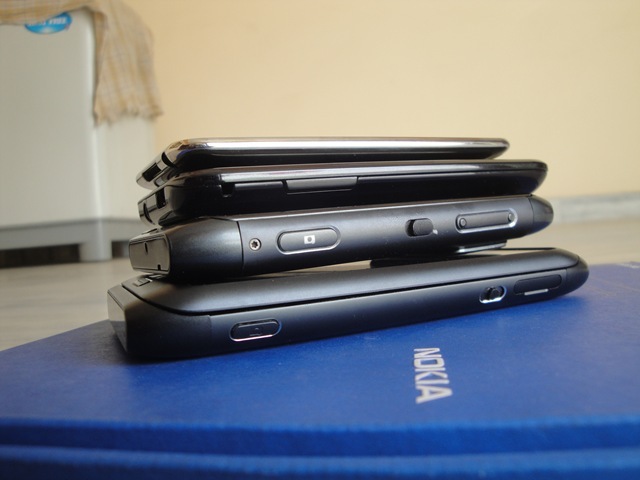 Now, when it come to slimness test, then none of us might have expected Nokia E7-00 as slimmest one around, but it does a fine job here in pictures at least even if its weight-wise heaviest of all shown above. 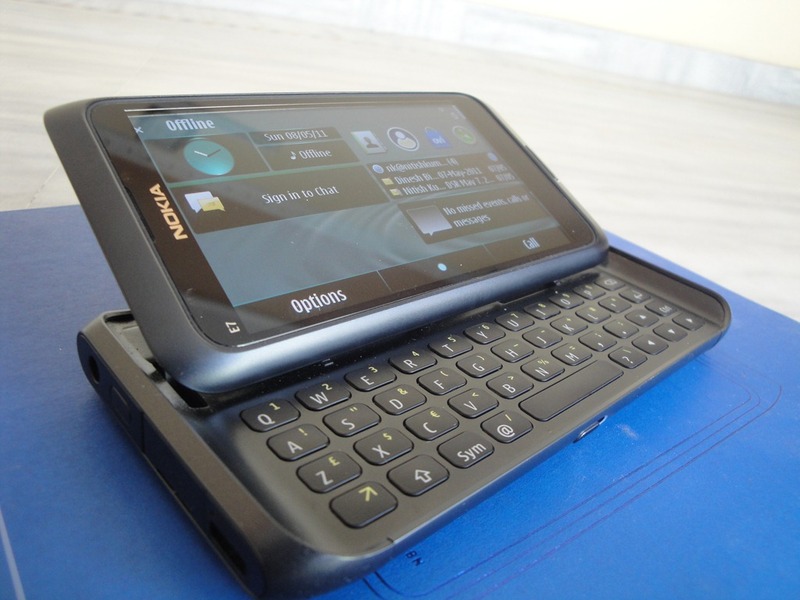 It not only the 4” Clear Black Display and almighty keyboard, but at rest of all places, you will find Nokia E7-00 on same ground or one step ahead of Nokia N8-00 hardware (Except Camera part). Same pentaband connectivity, Same HSDPA\HSUPA, same WLAN 802.11 b/g/n, Same 2D/3D Graphics HW Accelerator with OpenVG1.1 and OpenGL ES 2.0 support, same 2 Microphones, same Accelerometer Sensor, same Ambient Light Sensor, same Compass (Magnetometer Sensor), same Proximity Sensor and same TV Out with composite. While all the connectivity\ data options also same except Memory card, I am not sure about Pictbridge that is used for printing photos directly from the device itself without making use of computer. But I think Nokia E7-00 can send print to capable printers directly, have to check that part yet. Same about the volume of loud speaker that I found on the same level of loud as it was in Nokia N8 that should be a great news for Business Users as while Nokia E72 was the first Business handset to give business users a taste of great imaging devices, this time Nokia E7-00 comes as a great gift to honor them with full multimedia pleasure (remember the support for most of popular video formats out of the box and video playback with subtitles). Though Nokia N8 and Nokia E7 both have the same ARM processor with 680 MHz and same amount of SDRAM as 256 mb, Nokia E7-00 boosts upon more internal memory of 350 mb in place of 135 mb as on Nokia N8, more NAND memory of 1Gb in place of 512 mb as on Nokia N8. 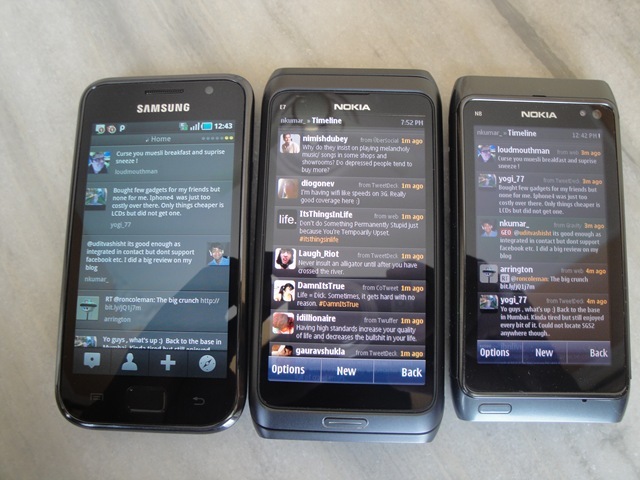 The performance boost could be felt after using Nokia E7 for a long time otherwise out of box, both felt like the same. There been some great display tech comparisons by some great bloggers in past and once I was in possession of three of the leading technology at the same time, I was obviously being requested for such a comparison from Layman point of view. Like one of my friend Suyog mentioned on twitter that Layman rarely think of the fact that which one is the brightest or more sharper or with more contrast as long as it serves good and look good while presenting in front of others. But still we all know that display tech nowadays becoming a prime jargon for even Laymans, when they decide for a new handset. Let’s see how much effect such a decision can place? It was hard to take a perfect angle for me in such heat when sun was above my head, but the above was one what I tried. 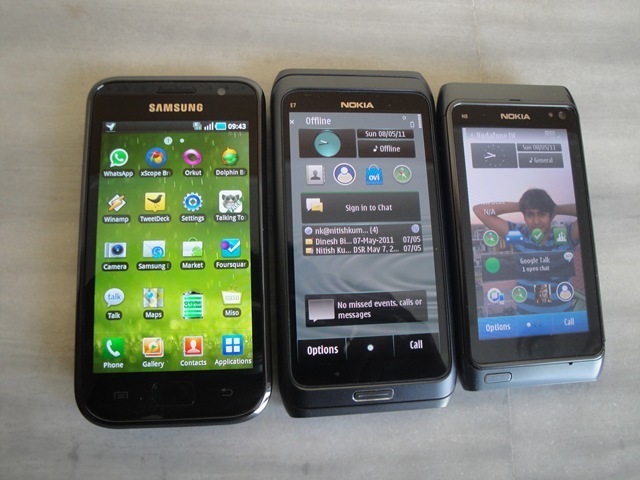 The good news is, none of the above three (Nokia N8, Galaxy S, Nokia E7) were anywhere shy about the sunlight visibility. Not sure, but I felt Nokia N8 AMOLED screen a bit more reflective than others and so it seemed to be performing a little better than the rest. 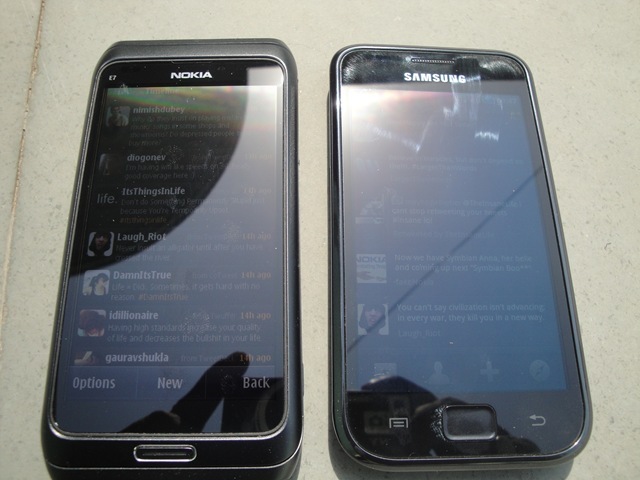 But when it comes to CBD vs SAMOLED, then I found Nokia E7-00 certainly performing better than Galaxy S screen. You should not expect some benchmarking tests here from a Layman, but after using Nokia E7 and Galaxy S for around 2 weeks, I could certainly be assured that CBD performs better, not only for the sunlight visibility but also for the battery consumption*. 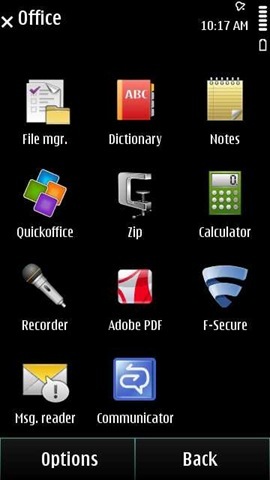 *Apart from this test, I always keep my the brightness of my Galaxy S at lowest to save the juice. 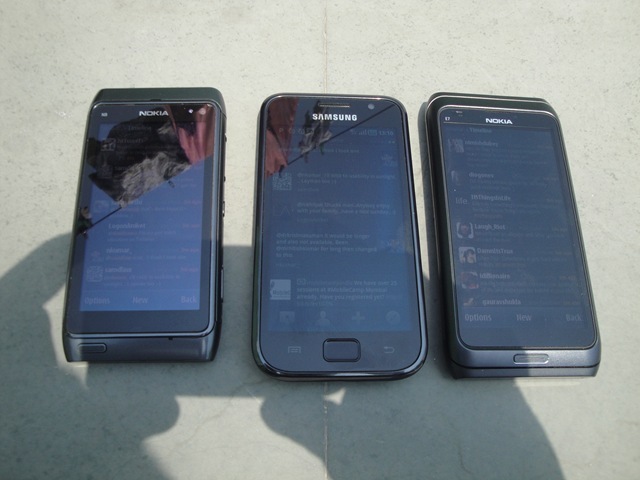 When you check out the screens in normal light conditions than the extremes like last case, then you will notice a tint of blue in Galaxy S (though not really sure on it), but on the other aspects, all the three screen perform completely fair means one wont really mind that which screen he got among AMOLED, SAMOLED or CBD, if he is not going for rigorous tests. 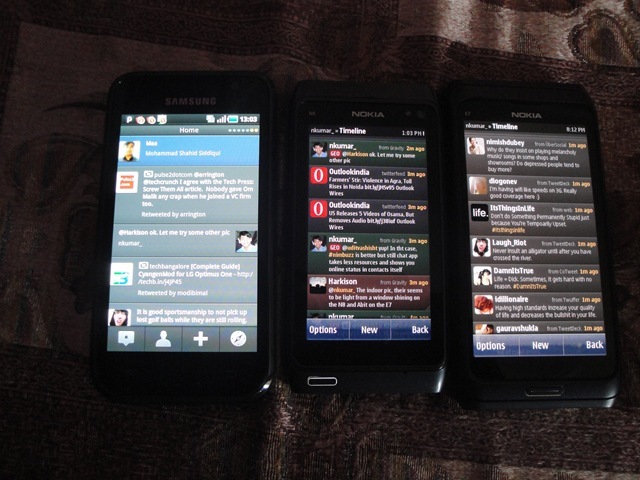 Though even after disabling the auto exposure control, Symbian never let the device be fair on brightness tests, but I tried a little to bring all the three devices head to head in a little more darker environment. You can decide yourself from now. One can easily say that the battle ends before even starting up as whatever being said and done, EDoF never stands a real chance in front of AF neither any other mobile optics compete with Carl Zeiss. 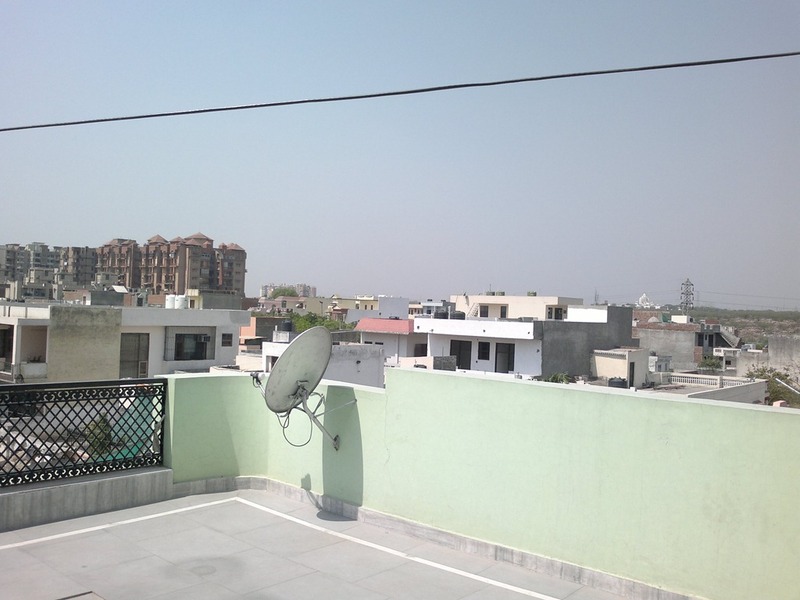 It might not be visible in above pictures, but I really took extreme caution while taking both the snaps, but still any one can point out that which one is taken by E7 and which one by Nokia N8. So, the Macro Battle ends without even a contest as one could have expected knowing the EDoF tech that is not made for Macro shots. Let’s see the rest. While EDoF does a fair job for objects far from 50 cm (like Landscapes), its not that hard to spot the level of colour details that only a camera like Nokia N8 can capture. I will again leave it on you only to decide that which snap is taken by which camera. The color details that might be minor for many, it does make a big difference, when you are talking about Camera tech. Can you spot anything inside? But EDoF might be actually a good choice for casual users not caring for such tech differences. 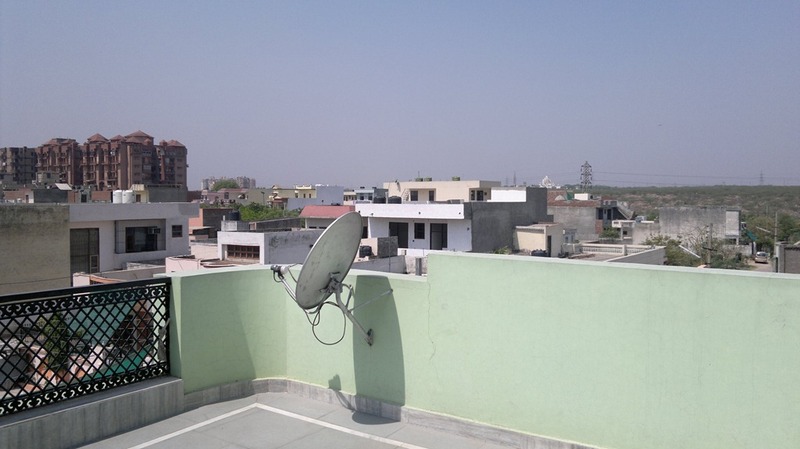 May be you can tell easily that which of the panorama shot is taken by Nokia E7 and which is taken by Nokia N8, but you will agree on the fact that both of them do a fairly competitive job. 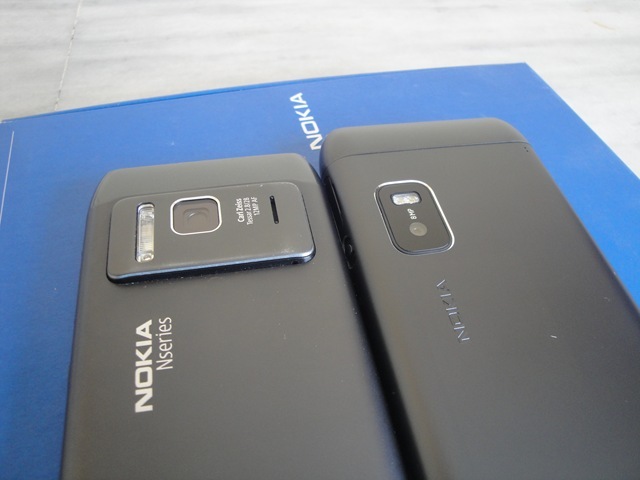 Similarly when we move over the video part, then lack of continuous auto focus in Nokia N8 as of now makes Nokia E7 standing on the similar grounds and honestly speaking, I wasn’t able to spot some big differences between the 720p videos shot by both in normal lighting conditions. There might be big advantages of having a Xenon Flash on your camera when it comes to still photography, but for videos, one will find Dual LED flashes much better than Xenon as they can serve the purpose of being video light while Xenon Flash goes useless in such circumstances. You can check the part in my old Nokia N86 camera review, so not including the same shootout here. I would agree on the fact that EDoF cam might be a good choice for casual users and 8MP cameras like Nokia E7-00 will do a fair job to capture your memories, but I will never support the uses of such cameras on premium priced devices like Nokia E7-00. I hated Galaxy S for the same and so bashed Nokia E7-00 as well, but one should agree on the fact that our crave for excellent cameras in affordable prices have been fueled by Nokia itself. Hope we will not loose their Imaging excellence in coming days for sake of EDoF tech. Once you open up your Nokia E7-00 for the first time, you get greeted with the familiar screen of "Let’s Get Started". This time, I learned a new thing which I didn’t noticed with Nokia Symbian^3 handsets earlier (but its there with all handsets as well). Nokia Handsets nowadays (or may be since before) store your Nokia Account info along with the phone numbers in their database, so provided your number is already data enabled (most of the regional operator settings will be built in), you will get greeted with a prompt to enter your password only and user name will automatically be picked up from the database (as associated with your number). This also explains that why sometimes people face issues with their Ovi Store in authentications, probably when they change their SIMs frequently. And not only that, even Nokia Social etc services wont ask you to make an account again and all will be picked up from your account earlier stored with Nokia only (though will ask for password again. Obviously). It feels great if you have stored your contacts etc with your account as your phone will be ready to go almost out of the box without even making use of PC. 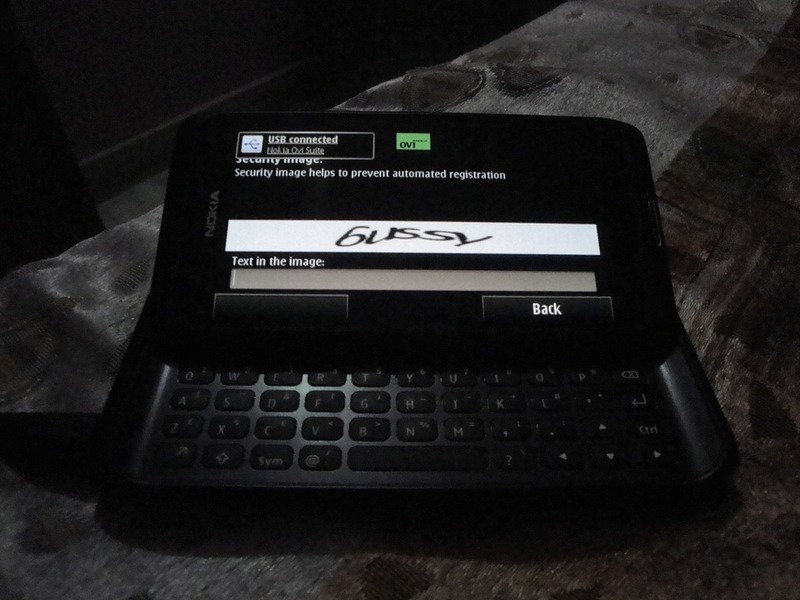 HW QWERTY of Nokia E7-00 changes a lot of things about the Symbian experience as well, if you love to use the QWERTY all the time for input. Like when you encounter such a prompt while setting up your phone, then you can easily understand that what horror other Nokia Symbian^3 Users might be going through when using handsets like Nokia N8\C7 without keyboard. One just want to shot out loud that this kind of issues don’t need to wait for an update, but Split Portrait\ Landscape QWERTY input is what that should have been in place from day one. Just don’t know why Nokia Developers want to screw the company themselves? 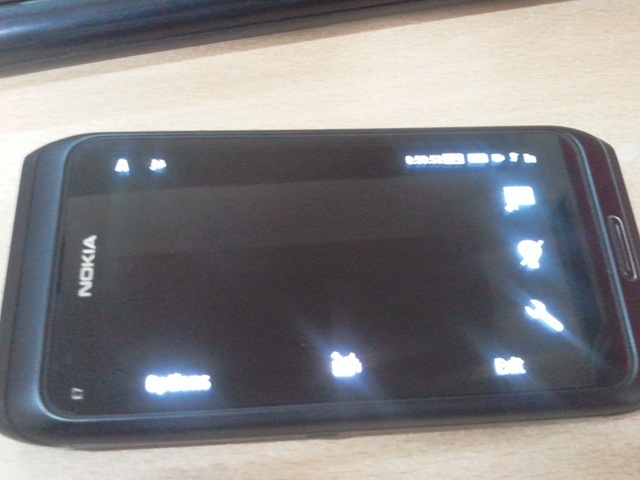 More space for the text and less taller keys, I don’t think that this was something that can’t be achieved on Nokia N8. Definitely not what I wished to have on Nokia E7 likes, but if you ask me about T9 layout then Nokia E7-00 is much better than that on Nokia N8/ C7. 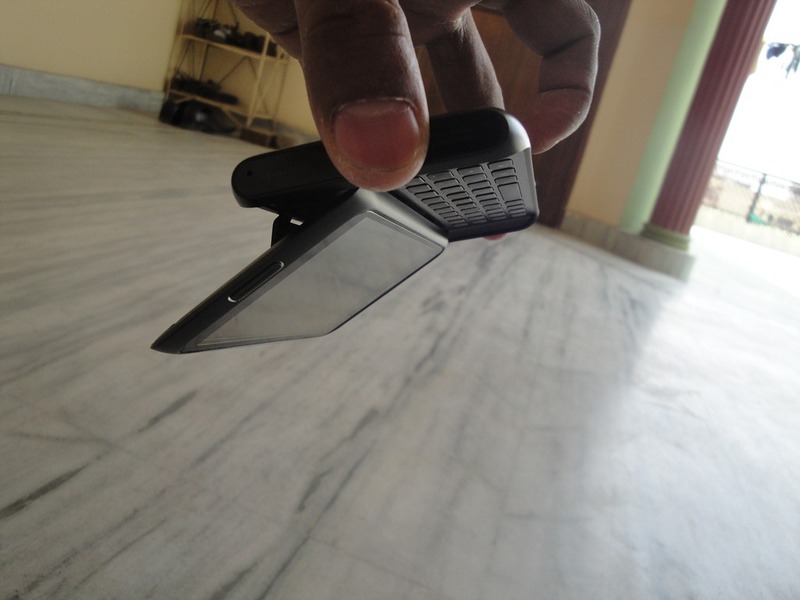 Its would have been still thumb friendly on Nokia N8 in my eyes. 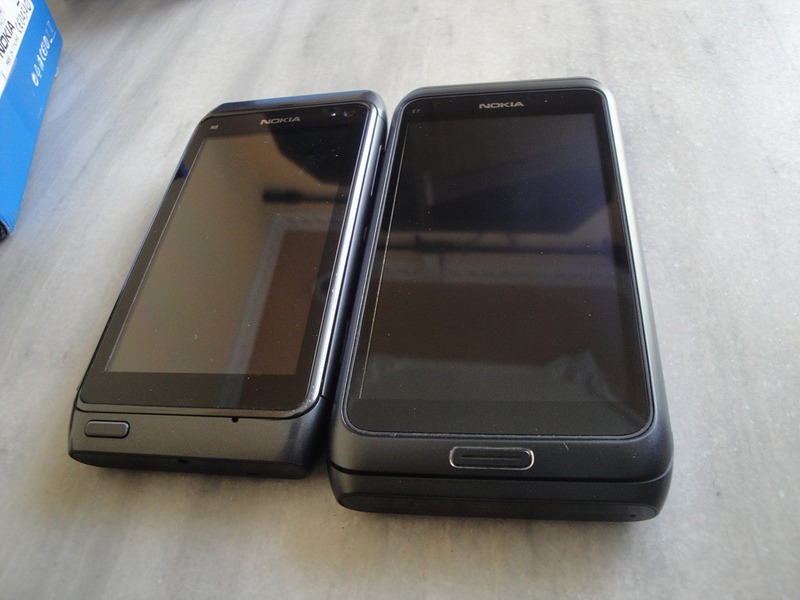 At the same time, Landscape QWERTY seems to be having almost same layout as Nokia N8 (on right), though there are minor changes. Considering a E-Series device “@”,”,”,”.” like characters might have been thought of as more important. Then I tried Gravity which felt a little bit strange for the first time due to a bit sharper fonts, but soon I was adjusted to bigger keyboard (same layout though) and even HW QWERTY typing. Though most of the people writing about SmartLife experience with Nokia E7-00 are not pushing over this particular area, but I found Nokia E7-00 a gaming champ due to the same level of caliber as Nokia N8. With a bigger and gorgeous screen, it feels like shouting that Business users should also get their share of fun. The weight might be a put down but the feel of metal and the performance of games on CBD screen was just awesome. If Nokia E72 was an imaging enabler for the Business users, then Nokia E7-00 could be termed as gaming enabler for Business users. Angry Bird, Angry Bird Rio, I must Run!, Avtaar, Spiderman Mayhem, Need for Speed, Asphalt like games can show off the real potential of Nokia E7-00 and if you got one, then you must get installed these titles as the first job. While I have covered the camera part in the hardware review part only, but wish to show some of the changes in the camera firmware as well. 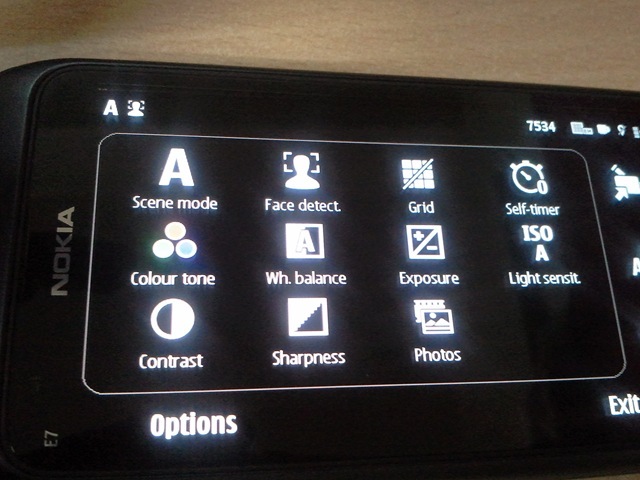 While the core level changes can be checked by some developer only, for an end user the immediate change would be removal of Close Up mode from the scene mode settings. 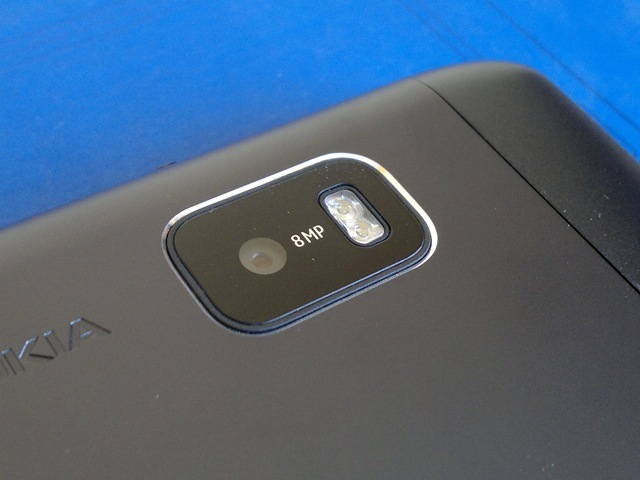 Still the good news is, rest of the camera part is still as such on Nokia N8. Same level of face detection etc. One more change would be presence of video light icon in the video recording mode. Yes! lack of Macro mode and Auto Focus makes Nokia E7-00 a bit inferior, but the above pics that are taken by an Auto Focus camera of Galaxy S are enough to show that being just an Auto Focus doesn’t make your camera at par with what Nokia been doing with Nokia N82/N8 likes. Agree! it is a compromise by Nokia, but if you compare the camera with other mobile cameras in market, then it does a fine job for sure. 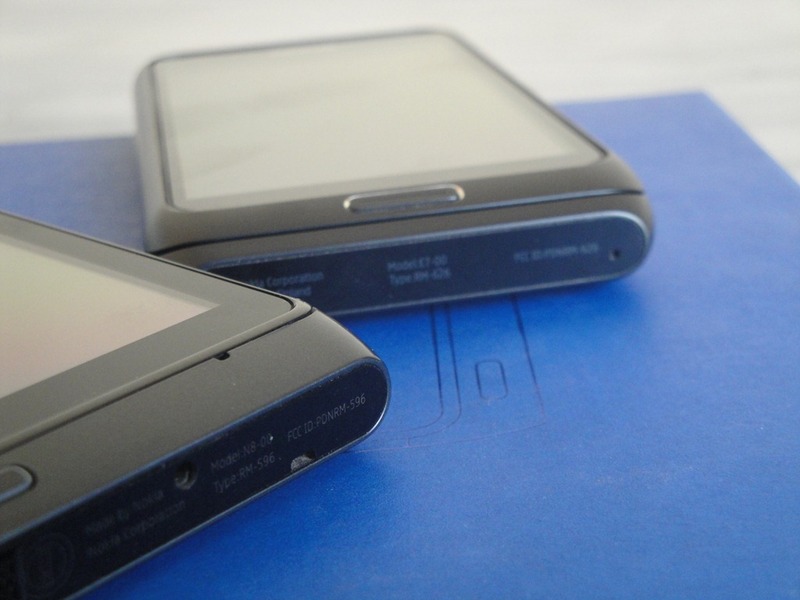 While in initial announcements, it was told that all the difference between Nokia E7-00 and Nokia N8-00 would be of software and firmware, but for the end users/ Layman, it doesn’t feel like the same story as not much changes could be found from the Nokia N8-00. As enterprise offering, you get VPN, Microsoft Communicator, Vingo, F-Secure (Anti-theft+Virus protection), Traveler, Office Editing etc pre-installed, but I don’t think that these all can’t be obtained on Nokia N8-00 as well (except Office Communicator though I doubt that it can’t be installed on Nokia N8), while Office editing has already been enabled in Nokia N8-00 since last fw updates. So, its hard to find what’s changed. One new interesting app got my attention that was Climate mission. Tests your geo-graphical knowledge and I must say its engaging for the people who love such challenges. 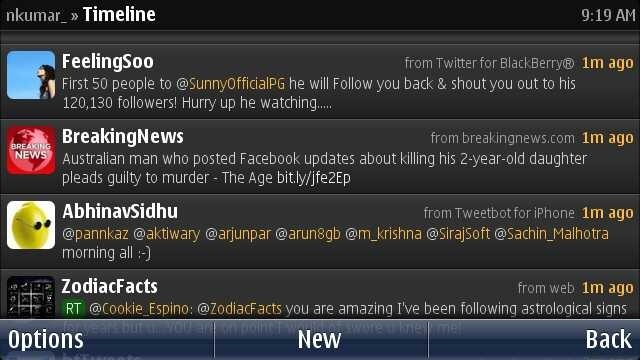 Though Symbian^3 users might be aware of the issues, but I thought to point out the same again to show that the Symbian worries are not resolved with Nokia E7 as well that seems to be having the most updated version of Symbian as of now (among the retail handsets). 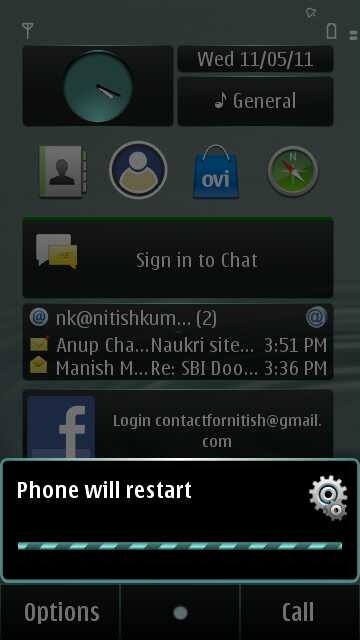 The under development Qt platform of Nokia while seems exciting due to apps like this, has also putting its share of worries for Symbian users as of now. Nokia E7-00 is shipped with Qt4.6.3 only like Nokia N8 and all the awesome Qt Apps floating on the web seems to be asking for Qt4.7 at least. Though some of the Qt worries will be settled after the Smart Install deployment via Ovi Store as happened recently because that will deliver the stable version of updated Qt runtime to Nokia Symbian^3 devices, but still there are many users that got into troubles due to beta versions of Qt in this while. Like in my case, the review unit I received was already plagued with the same issue. 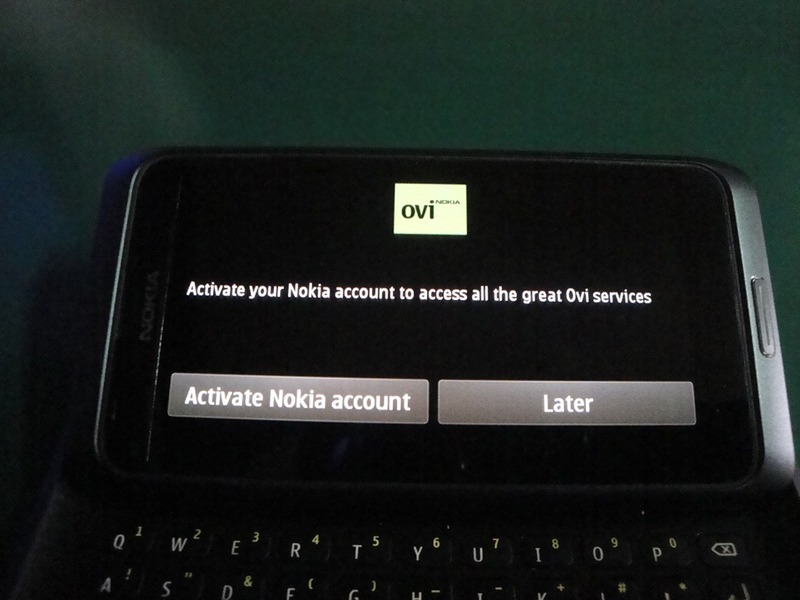 Due to incorrect version of Qt, I wasn’t able to use Ovi Store and even uninstalling Qt or downgrading it via Downgrade.sis provided by Nokia Beta Labs wasn’t of any help. It wasn’t a positive experience for sure, but being an experienced Nokia N8 user myself, it wasn’t surprising to me. While most of suggestions were for sending the device to Nokia Care or going for Hard Reset, I decided to take another route via Nokia Care Suit that is the official software used by Nokia Care people to flash Nokia Phones with Official firmware. Obviously, this is not available for public use and might void your warranty if something goes wrong but solved my issues completely. Wish Nokia soon get over with this transition phase of development. 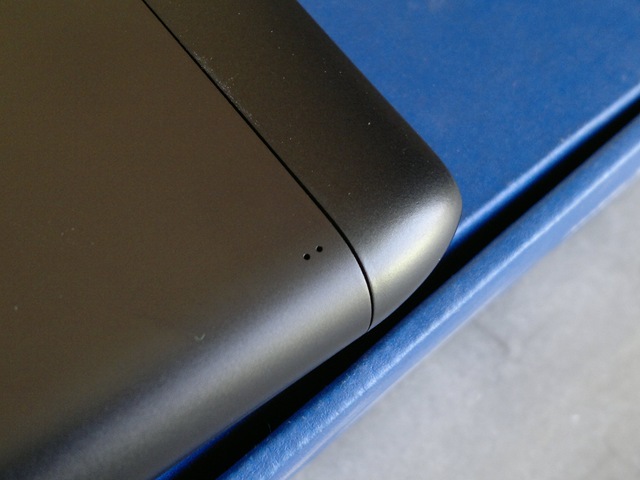 While I already discussed some of the negatives related to hardware, like EDoF camera on a premium priced device and then no protecting cover, but there are some other as well. 1200 mAh Battery Being a Symbian, it can still survive the whole day with normal usages scenario, but as you can see from the device specs comparison on Forum Nokia, the battery life is officially lesser than Nokia N8 and though it should come as expected because of bigger screen, not a great thing for an E-Series. 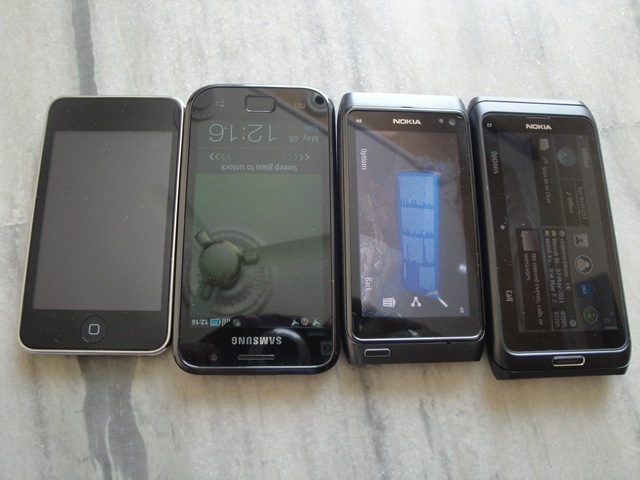 Nokia E-Series Phones been known for their heavy battery lives and build quality. While build Quality of Nokia E7-00 stays as the best (even better than N8) of Nokia till date, its a huge disappointment that Nokia providing 1200 mAh as a standard on Symbian^3 devices while their own Nokia N97 etc had those 1500 mAh batteries at least. I want to make it clear once more that on practical usages, Nokia E7-00 stayed a little longer than Nokia N8.. but that little is never more than 1 hour in any case and I already didn’t forced that into limits like I do with my Nokia N8-00. So, battery is fine, but not the best what it should have been. You can ask me only that how much it hurts. I leave the home by 0800 hrs daily with two phones in my pocket: Galaxy S and Nokia N8/E7 and at the end of office time that is around 1900 hrs for me, I find both of them dead for sure (if I don’t charge). Agree that my usages might be much more than average users but still… I am not happy with 1200 mAh batteries. No Memory Card Support Agree that having USB OTG on board will make this point a non-issue for most of the users, but its still a compromise made by Nokia to keep the device slim and one-piece. There really might be some situation when you need memory card inside your phone, but still… I can give a pass to this issue. Lower Resolution Even if Nokia E7-00 could have stayed out of race with Retina displays, it still deserves at least the level of resolution that Nokia has provided Nokia N900 in past. I am not sure but probably this is the lowest resolution flagship handset in market. Not sure that if even BlackBerry does this much lower resolution. May be there was a time, when mobile devices were meant to be of low resolutions and desktops of higher, but things are changing and Nokia should have catch up till now. Its not that the current resolution is not sufficient. It is indeed. It fulfills the requirement of being thumb friendly, but still giving a little more resolution would have given developers more room for showing off their innovations. 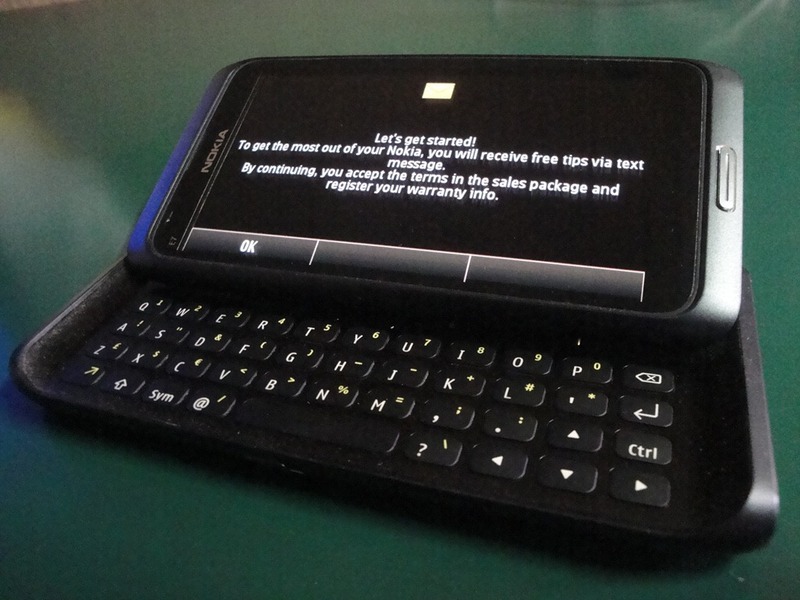 In all, what can be said… Nokia E7-00 is a typical Nokia build that could beat the rocks, but at the same time a typical Symbian that will make you wait and hope that next update will resolve the issues. 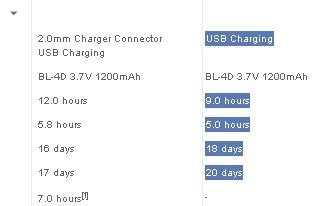 Questions remain the same..
CBD Doesn’t save battery as mentioned above. 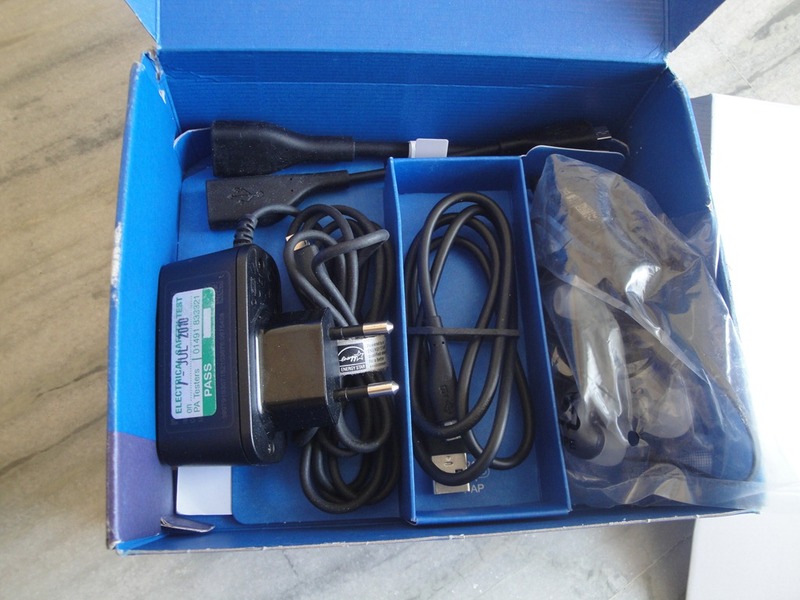 The light sensor increases and decreases display intensity thus saving battery. CBD reduces (nearly nil) light refection from the display surface. It is a very good review, Nitish. Great effort too. 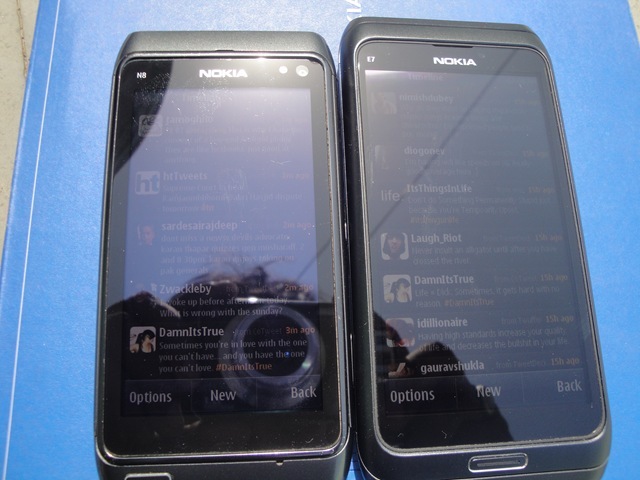 But I think In the Battle between Nokia N8 and E7, N8 wins still.. What do you say?? True. I think I already said that. Great review Nitish as always, Pretty Fair one. Still see any going for it. E7 is not worth all the money (>25k).Missing AutoFocus in such costly mobile is shame.EDoF works well but having it in >15K phones is joke. Left that part intentionally as seen many even liking it very much. 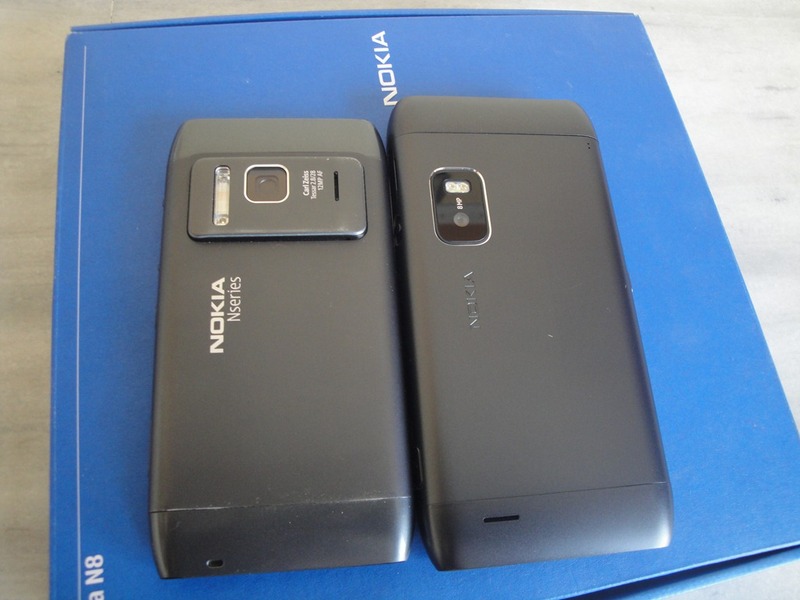 Please i need your sincere opinion between nokia n900 and n8 which is better in term of performance.I am intending to buy one of them in 2days time and i am confused of which one to choose.Pls advice me as you have used the two phones before. Hi. I wanna know if your N8 and E7 units have purple tint. Thanks. No. Both of them don’t have it. Checked the same when the issue was reported but no issue on my units. How does it compare to the Communicator it replaces? 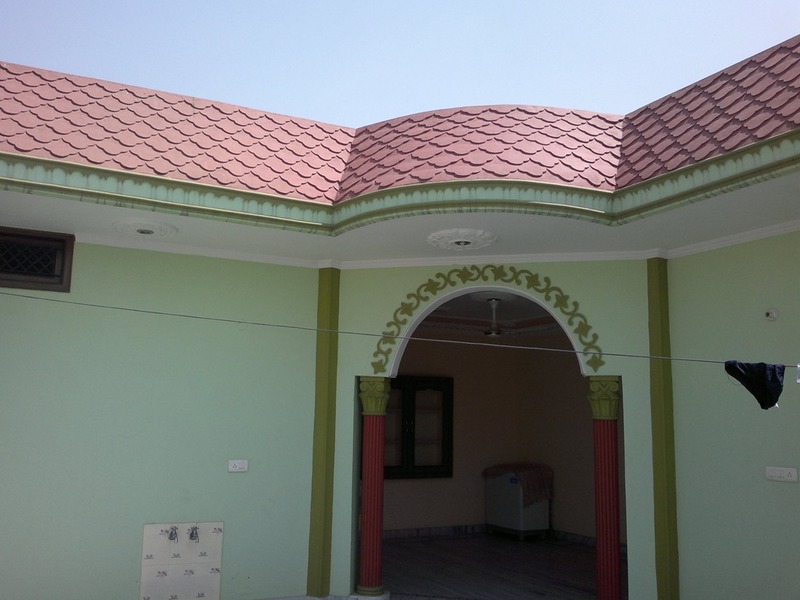 @ Nitish – Wow ! what a review .. i was having a horrible time in deciding either of the 2 phones .. i’m going for the N8 now .. just 1 question – iv never used a touch phone .. im using e71 now and doubtful about moving to a touch ph .. need some re-assurance from u. There will be some initial issue with a touch phone, specially when you are coming from an excellent QWERTY phone like E71. But it won’t take long yo adjust yourself. I never felt issues while I myself been one of the strong hater of touch screen phones and wrote some of the posts in same reference earlier. Though I should warn you that before Nokia updates its Symbian to Symbian Anna (expected in mid June/ July), it might not be a best experience for people adjusted to portrait QWERTY. Please tell me where can i find this ‘nokia care suite’ and what is the latest version. 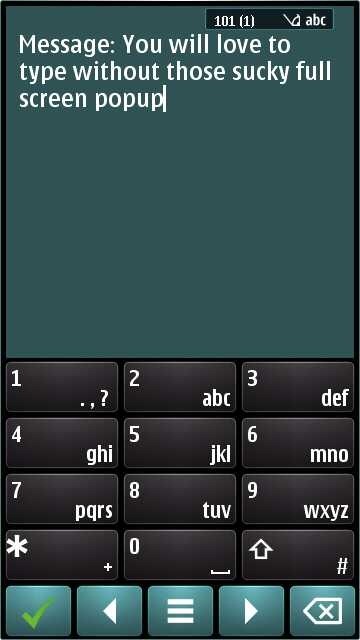 I’m also having qt problems with my n8. Awesome reviews. being a E7-00 user, i agree with all the points you mentioned. but personally i would say that i feel proud when the plain flat mobile transforms to its tilt mode. 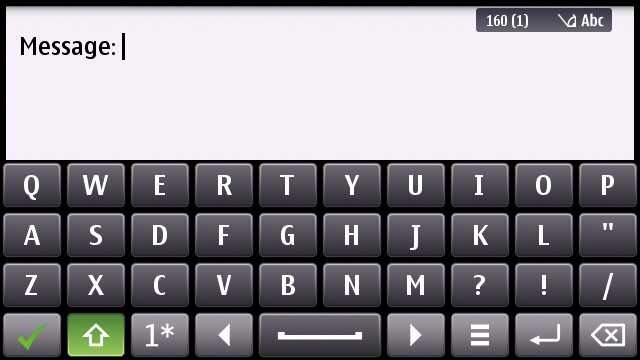 and typing on its HW QWERTY Keyboard is really a feeling, which can not be described in words. you forgot to review and mention the Video Playback on device and HDMI Playback on Larger Screens. i tell you, its a great experience which still lacks in Samsung Phones. playing Motion games on larger screens is awesome. I missed the big screen playback only due to fact that I didn’t had a compatible monitor. HDMI is sure a great addition. Though would like to mention that AllShare like features that can allow Samsung phones to play phone content over big screens via DLNA can sure compete HDMI to some extent. Also Samsung Galaxy S etc also provide TV-Out to project phone screen display on TV monitors. Where E7 rocks is awesome build quality and where it lacks is resolution. 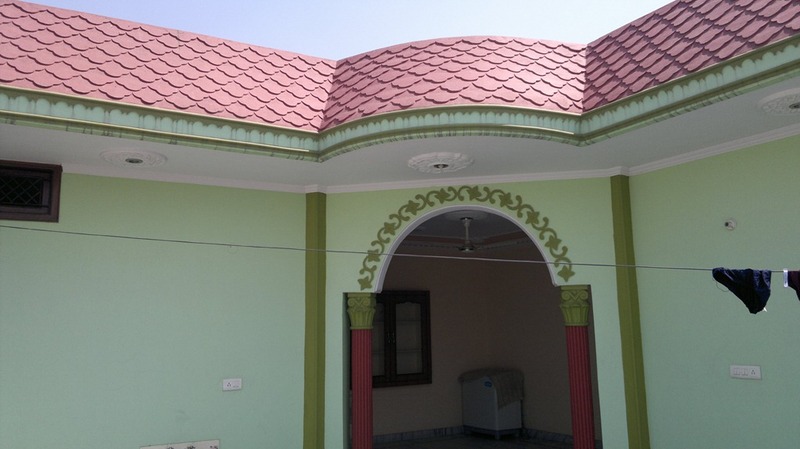 Nitish, thank you, very detailed review! Regarding storage, anyone else noticed the Nokia site shows a 32GB card as an accessory to the E7-00? Yet I have read a few reviews and they have all stated shame there’s no card slot? Also, do you (and others) think going from E71 to E7-00 a good idea? I would say E71 and E7-00 are entirely different phones. E7 is kind of successor to N97 likes rather than E71 due to its form factor. The kind of battery life one was used to live with E71,sure not gonna be the case with E7-00, but on the other hands, its in a league of its own. 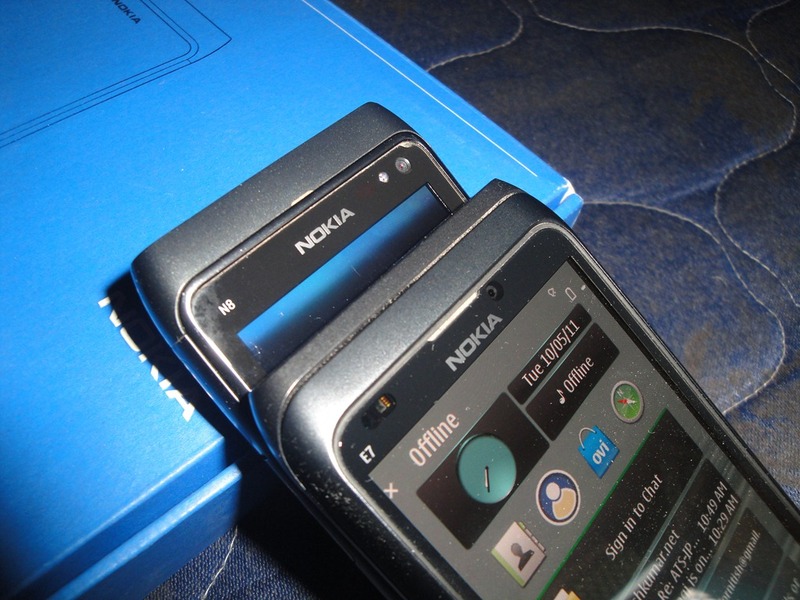 The replacement for the E71 was the E72. The latest in that category is the E6. If you do go with the E6, you’ll have the option of upgrading to Symbian Anna, and then Symbian Belle shortly — the E6 is a Symbian^3 device, while the E72 is the last S60v3 FP2. The E6 matches the battery expectations an E71 owner would have. The C6 is the closest to replacement for the N97 – at this stage, while the E7 is the latest in Nokia’s legendary line of do-everything/anything Communicators, the last of which was the epic E90 Communicator. One more thing, the E6 uses the same BP-4L 1500mAh battery found in the E71, N97 and E90 — this battery is the largest currently offered by Nokia, IIRC..
headaches, confusion, psychological disorders, anxiety, and panic attacks. These everyday blessings and spiritual insights are often momentary.